When literary agent Peter Katz receives a partial book submission he is intrigued by its promise. The author, Richard Flynn, has written a memoir about his time as an English student at Princeton in the late 1980s, documenting his relationship with the protégée of the famous Professor Joseph Wieder. One night just before Christmas 1987, Wieder was brutally murdered in his home. The case was never solved. Now, 25 years later, Katz suspects that Richard Flynn is either using his book to confess to the murder or to finally reveal who committed the violent crime. From the moment he sets foot in Mulderrig, Mahony's presence turns the village upside down. His uncannily familiar face and outsider ways cause a stir among the locals, who receive him with a mixture of excitement (the women), curiosity (the men), and suspicion (the pious). Himself is a simmering mixture - a blend of the natural everyday and the supernatural, folklore and mystery, and a healthy dose of quintessentially Irish humor. The result is a darkly comic crime story in the tradition of a classic Irish trickster tale, complete with a twisting and turning plot, a small town rife with secrets, and an infectious love of language and storytelling that is a hallmark of the finest Irish writers. 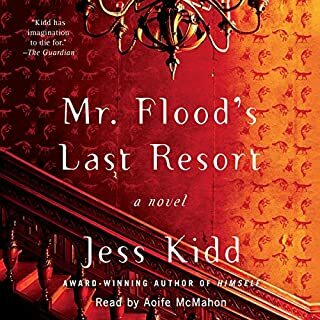 Jess Kidd has written a very funny, very colorful mystery set in a small town in County Mayo on the west coast of Ireland. Mahony is a 26-year-old man living in Dublin who was raised in an orphanage there. He receives a clue about his birth parents, and heads to Mulderrig to try to unravel the mystery. The story alternates between the present (1976) and the time of his birth (1950 and earlier). The characters are brilliant, with Mrs Cauley, a geriatric actress masterminding the investigation. The cast includes many ghosts who also populate the village alongside the living. Jess Kidd's dialogue captures the lyrical slang of Ireland (often a bit salty, so don't get your bollix in a twist!) and her constant similes had me laughing out loud. 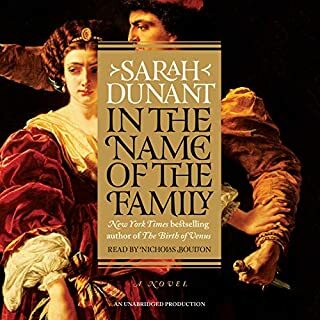 I do have to say that the story gets to be almost overwhelming about 3/4 of the way through the book and I found myself often skipping back a minute or two to make sure I didn't miss something. There is an incredible amount of action and many characters involved in it. 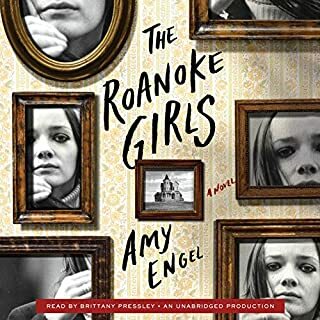 As a warning, there are several gruesome descriptions of killings throughout the story: while this book has much humor throughout, it is a dark mystery at its core. 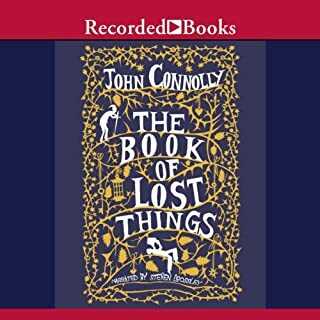 This story is brilliantly brought to life by Aiden Kelly's narration. 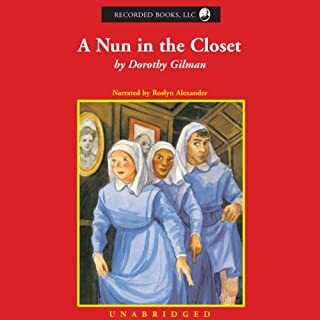 He has a different voice for each character, and seamlessly switches from the dead impish little girl, Ida, to the laid-back Mahoney, or the sanctimonious false piety of Father Quinn and Mrs. Kelly. This book was meant to be heard in an Irish brogue. 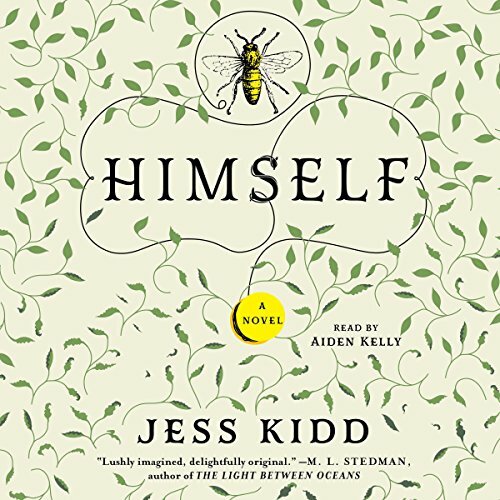 Aiden Kelly does a superb job performing and narrating this imaginative novel, lushly and brazenly written about basically the stranger who comes into a small town and cleans up its little bit of corruption for it. 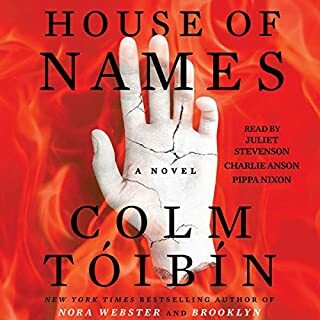 There is a bit of horror, fantasy, mystery, and some Clint Eastwood Wild West genre going on to tell this story set in a little town in Ireland with a delightful array of characters that Aiden Kelly masterfully distinguished and embodies. This novel thrills, amuses, and entertains. Incredible book, lyrically written. Told like a story passed down like a myth from a trusted grandmother. The Irish narration makes me want to cross the sea and begin a new life. Pain, friendship, discovery and growth are all explored like a new doctor picking through an infected wound, but shot through with colour and life and poetry. Highly recommended! I really enjoyed this book. Sly humor and dark mystery abound when a young man returns to village of his birth seeking answers as to what happened to his mother. This novel is difficult to sum up. It’s style is unique. It is a who-dunnit twenty years ago, and who’s doing it now, with a spiritualist twist. Really great character development. I listened to it twice straight through, because I wanted to make sure I hadn’t missed anything. I found the combination of mystery and just a bit of magical thinking very refreshing. It was difficult to stay engaged with this story. I was either rewriting sentences as the author did not seem to have a natural grasp for transition, or my mind wandered and I didn't care about the part I missed. The narration was fine, can't fault performance. Looking for a well told, easy listen, entertaining story? This hits the spot. Beautifully descriptive, funny, and charming. Great story. Full cast of characters. Wonderful narration. I enjoyed every moment of this book. I have listened to a great many audiobooks over the years. I would have to say this is one of the best, if not the best narration performance I’ve heard. Helped along mightily by the author’s delightful, well-crafted prose. A gem. This is an entirely delightful, funny (sometimes hilarious), and charming novel. The performance is outstanding.